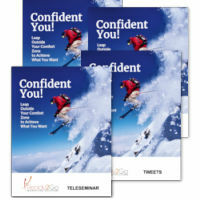 This presentation is designed to share insights about confidence, and to help audience members understand how they can gain a higher level of confidence. Confidence is a necessary quality, yet so many people struggle to find it, not realizing that it naturally exists within each and every one of us. 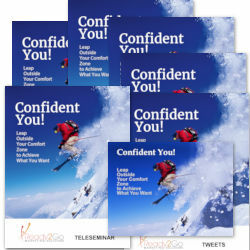 The speech helps audience members first define confidence, and then provides a 5 point plan for gaining confidence along with 8 tips on maintaining a higher level of confidence. This is a hot topic, and one that is of interest and benefit to everyone. It is full of useful and practical tips as well as anecdotes that support key points. Your group will walk away with a better understanding of how confidence can and does impact their lives. They will understand what confidence is and how to achieve more confidence. They will walk away with the steps they need to develop more confidence, and they will learn 8 useful tips on how to maintain confidence in a world that sometimes feels hopeless.